"...it could be fun doing the river crossing but that fun wouldn't be real if you don't know the reason of the existence of this free river crossing." 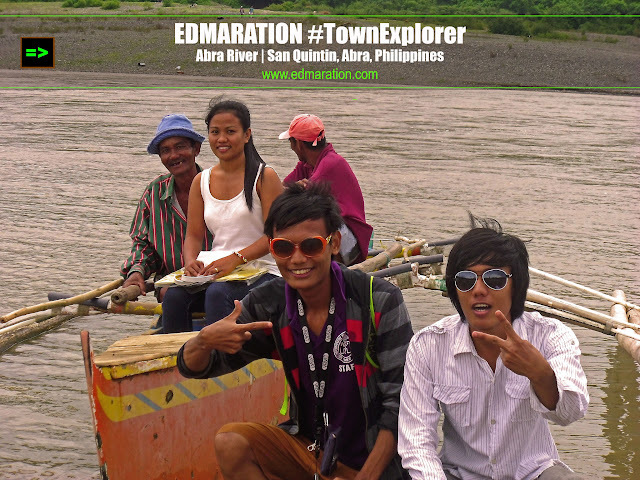 I thought it was already the end of the journey because it was already the end of the road and this great river is actually a predicament for it has served as a peaceful and beautiful obstacle of going to the other side of the town of San Quintin in Abra. I was just standing and walking along the river savoring the great feeling of freedom it is giving me. A lady came close to us on which I learned later that she'll be crossing the river and I wondered how. It was into my great surprise to learn that a boat is going to fetch her. I didn't immediately notice that a boat was at the other side of the river. So I wanted to know more why she is going to cross the river until I suddenly learned the answer for myself. It didn't come to my mind immediately that at the other side of the river are other communities and I thought reaching the other side of the river requires you to take another road network. 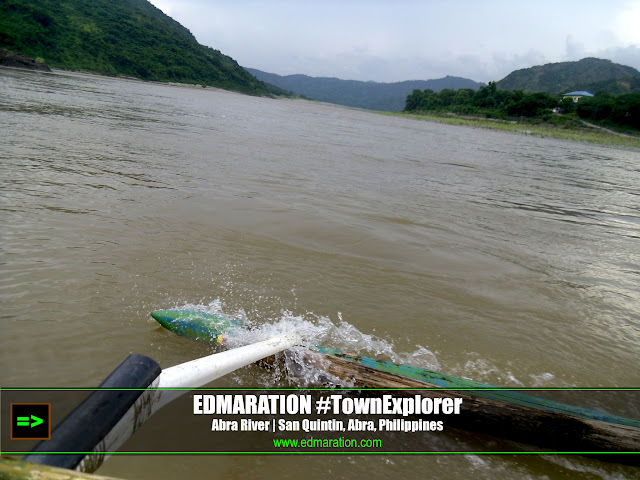 Crossing this span of the great Abra River would be a double purpose which would mean it will be my first step of seeing the giant footprint of Angalo and the other purpose is just to experience it. It would be such a great memory and experience if I will at least cross the river like the locals do. It was said that several years ago, there was no boat like this to help the residents of San Quintin to cross the river. Instead, they use rakes to cross it. The photo above shows a man on board a rake. So several years back, this type of floating material is used to cross the river and in transporting goods. The people clamored for the need of a bridge but for now, there will be no easy funds to finance the construction of a bridge and that would mean hundreds of million-peso project I guess (because a bridge near our city that crosses the same river width costed to be like that). 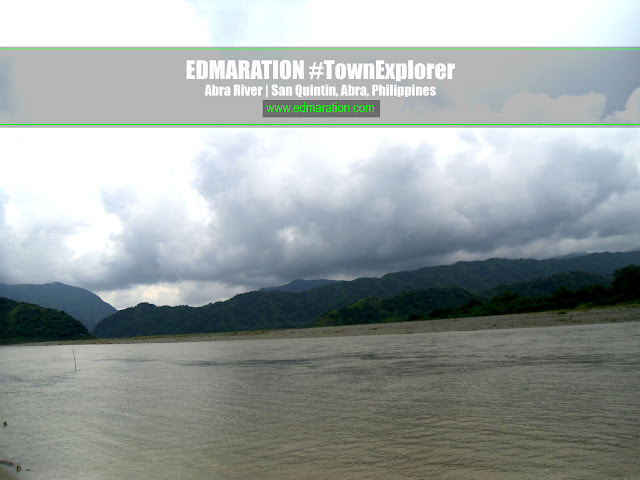 Remember that Abra River is the 6th largest river system in the Philippines and it streams down from Benguet, to Abra then opens its mouth to Ilocos Sur. 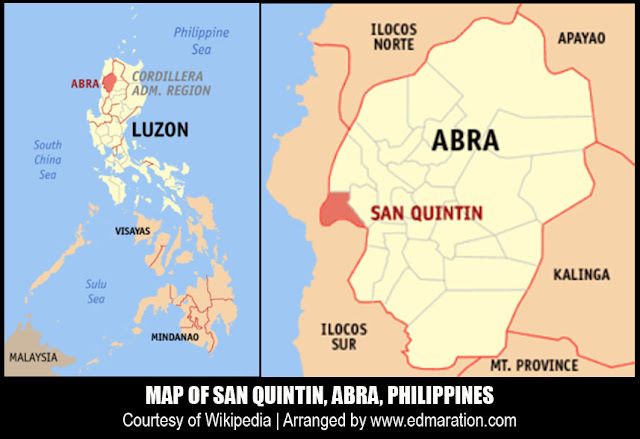 So there are a lot of towns situated along the Abra River and San Quintin is just one of them. 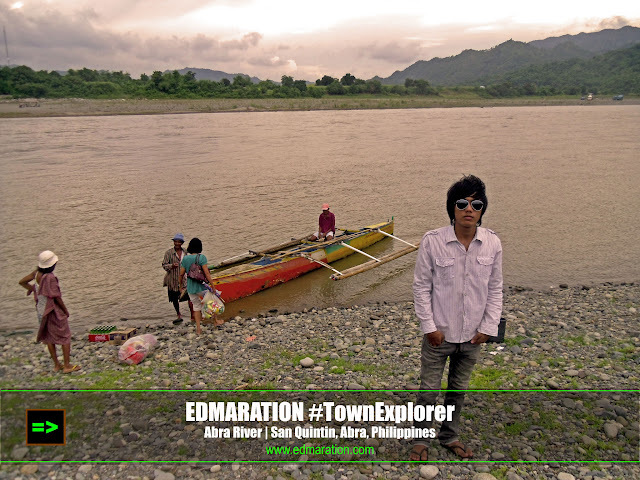 Each town has a story to tell about Abra River. For the said situation, it would be very impractical to rush the construction of a bridge here because there are more "main" bridges which should be given priority because of catering the needs of more people. I am talking thousands of productive people with the need to go to work daily to build our economy. Constructing a bridge here worth hundreds of million pesos that will only serve less than hundreds of people crossing daily would be very impractical. Now it is getting clear, even using your common sense alone, why this place has no bridge yet. 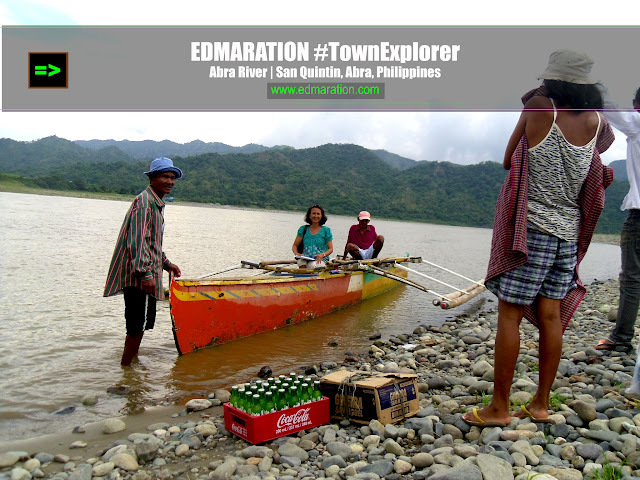 The solution given by the local government unit of Abra is to employ 2 boatmen to assist people crossing the river from morning until afternoon and that should be for free. It is a matter of public service. Cool idea right? I'm glad I am one of the beneficiaries this time although I am not from Abra. This would mean that anyone is entitled to have a free boat ride. Crossing the river would last for about 1 minute. Finally, I will be crossing this river for the first time. It was not the touristy river cruise that all you need is to relax. This one requires you to adjust to the situation. It was not just about for the fun and adventure. It was about trying to act like what the local residents do. It requires becoming open to the reality. It was not about fun. It was a lesson, a new learning lesson. It opened up my eyes to the reality of what other people have to deal with. They need to cross this river with their goods, their sack of rice, their whole family and has deprived them virtually the right to drive their own vehicle along the road from the site of trade and commerce to the doorstep of their home. If the river is harsh, they need to stay home so the people know when or when not to hoard goods. Typhoon seasons would be a good example. I thought it would be such a freedom, a great escape from my daily routines in search for freedom and delight but it was more of making me a mature person. As I feel the cool river breeze that masks the presence of scorching heat of the sun, I can feel the pain (the emotion, not the sun burn) and I can not resist it. It is the pain to know why should people experience this kind of situation while other people just enjoy the luxury of life without predicaments such as this. 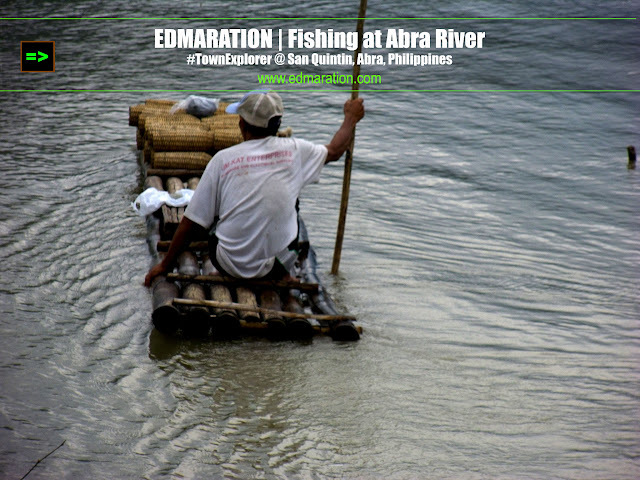 I was able to capture a short video clip while I cross the Abra River. It should have been more than a minute video but I used some parts of the crossing period to capture photos. So please bear with the short video clip of crossing the river. Hearing the noisy engine of the boat was poignant. It tells me that the residents need to get used of this situation daily. It was poignant, at least on my part because I am not used of living to this kind of situation and knowing their daily situation brings a message that penetrates deep to my throat. Jing-Jing, the lady whom I first met at this river crossing with instant love affair. I am not against anyone, I am just talking here as an emotional person that appreciates the beauty of life who makes every experience as a form of learning. I salute the province of Abra for thinking a great solution for the transportation problem in this part of San Quintin and may God bless you more and your beautiful province. I tried to consider myself as a local resident and doing it made me think their daily difficulties. Well, this blog isn't all about the great famous places of comfort but it is also about the travel experiences that money can't buy. It is about learning the way of living, the culture and trying to understand the struggles of the locals enriching my brain with new learnings. This river crossing was a new learning ground for a person like me who loves exploring places. Yes the word "exploring" and "adventure" could be a "cliche" but there's no other word to replace the very meaning and essence of it. Now you know why I said it was not really fun? Well it could be fun doing the river crossing but that fun wouldn't be real if you don't know the reason of the existence of this free river crossing. But if you try to dig deeper into it, you will realize it is not really fun. It mirrors the daily struggle of the people with the clamor for development that keeps running away from them. However, the people are resilient that makes them happy people in spite of all of these odds. The Abra LGU has been helpful for this set-up. 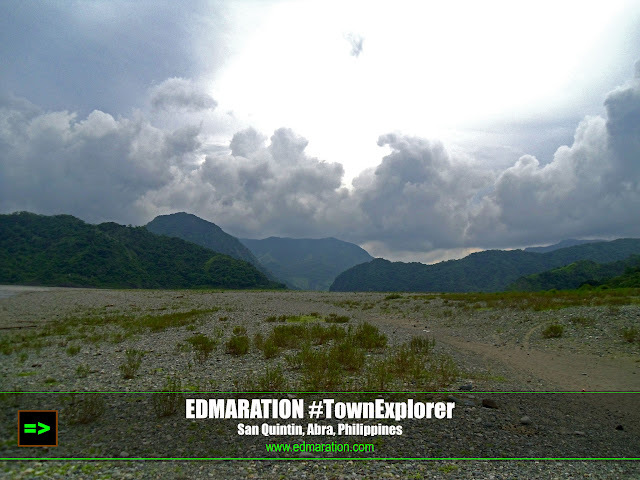 After crossing the river comes another mission that the #TownExplorer needs to do. They say it was hard to go to the actual site where the giant Angalo Footprint is located but they also said I can see it at the other side of the river on which I am now.